SOAS COLLEGE AIR SCOUT: AVIATION BADGE WORKSHOP A SUCCESS! AVIATION BADGE WORKSHOP A SUCCESS! 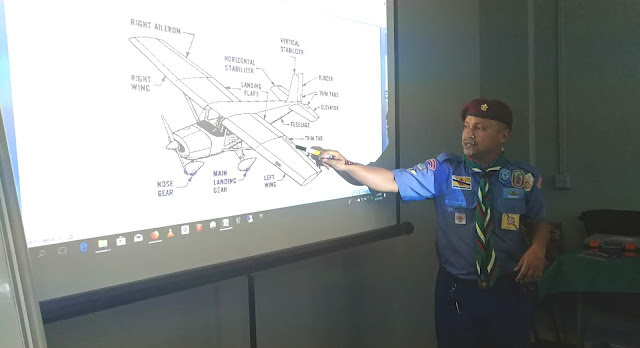 Class of 2018 and 2017 organized a session with Skipper Zack in knowing more about Aviation Badges. 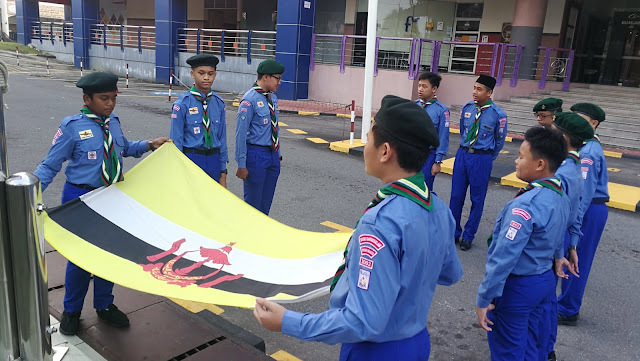 It was conducted overnight with the help of Brunei Muara District Scout Association and already the evening session was a great wealth of knowledge. 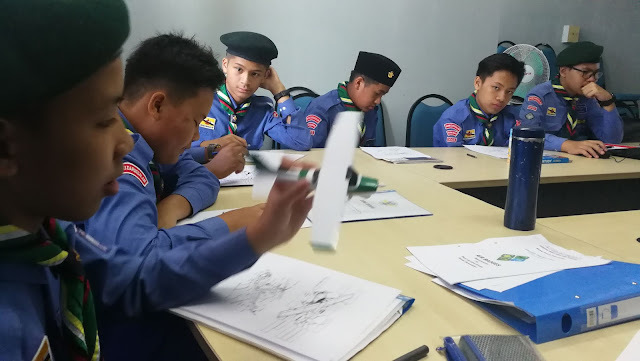 After having some pizza in Margerita, the troop moved to class to learn Air Spotter and Meteorology. New technologies were introduce in aviation such as Electric Trainer Aircraft. With zero fuel and quiet to fly around residential areas, its becoming popular among flying schools. 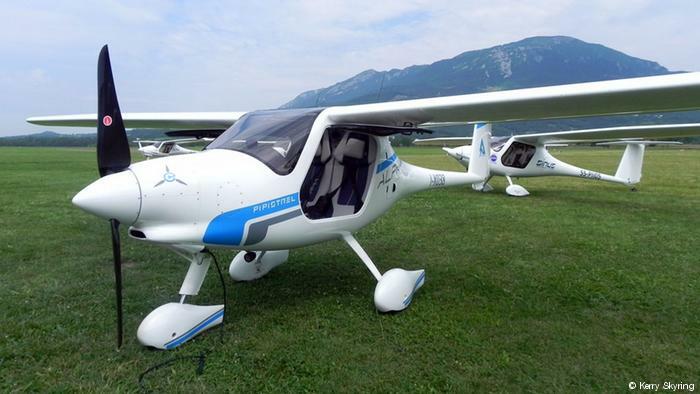 A new category learnt such as LSA or Light Sport Aircarft that can be privately owned and flown. Videos of new LSA design shows that these small aircraft are comfortable, fuel efficient, beautiful and packed with latest technologies. Learning new developments in aircraft piston engine as well as latest Super Turbine by Pratt and Whitney. The next morning is back to basics. Airmanship badge requirements and quizzes after class. Last was basic marshaling badge. 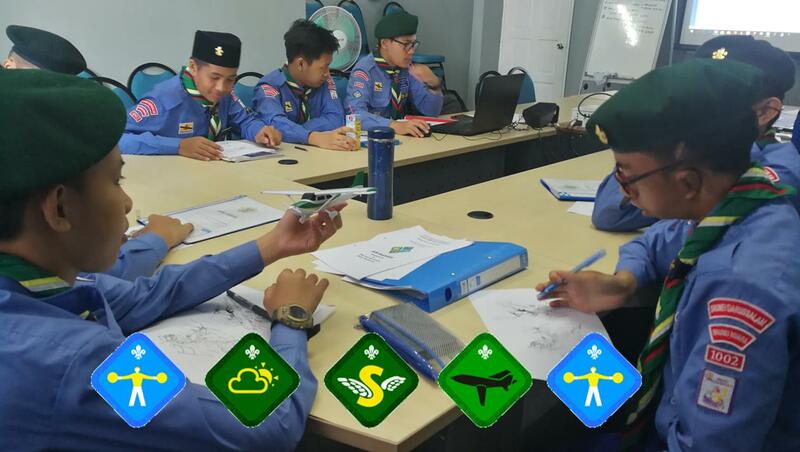 Some of these badges requires access to airfields so they can complete their logbook and achieve the badge. 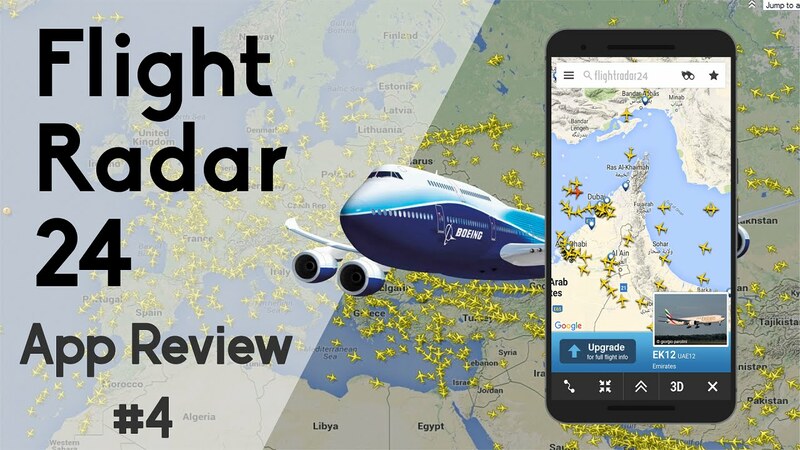 Using certain mobile app such as flight tracker, Flight Aware, Aero Weather and Flight Sim is now a requirement for aviation enthusiast scouts. Lastly there was a video documentary by Air Rover Riduan who went for Air Experience Flying in Sabah Flying Club. The video showed that a lot of preparation had to be done before flight, ground handling, real flight controls, landing procedures and things you have to do after flight. Conclusion, it was a great way to see if students understands about badges to get, how and when to get them. Its also a good update for everyone on skills and Skipper Zack can update his teaching materials to suite current needs.